On Saturday September 8 at 7 P.M., the Gatineau Olympiques will take part in a charity softball game against the legendary 4 Chevaliers Easton. 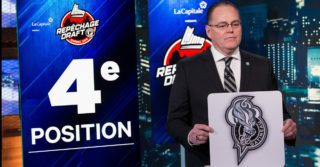 The game will take place at Sanscartier Park (5 Sanscartier Street, Gatineau), only a few blocks away from the Branchaud-Briere Complex, which will host the Olympiques next training camp. 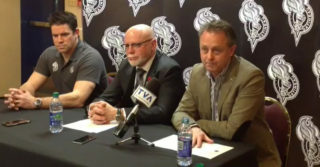 The game will feature some Olympiques Alumni who proudly represented the team that won seven President Cups title – a QMJHL record – during their 45 year history. 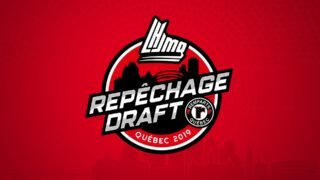 This event will also be organized in collaboration with Baseball Outaouais, who will organize different activities for the whole family throughout the day until the game in the evening. Tickets for the game will be on sale on Monday, May 28 and will cost $10 each. Baseball and hockey fans will be able to purchase them at the Robert-Guertin Centre’s box-office or online at www.olympiquesdegatineau.ca.